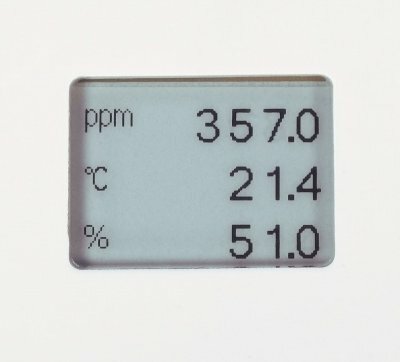 RCD 010 THD is a wall mounted combined Carbon Dioxide (CO2) + Humidity (rH) + Temperature (T) transmitter with display to show actual value of each parameter CO2+rH+T. The combined Carbon Dioxide (CO2) + Humidity (rH) + Temperature (T) transmitter RCD 010 THD have 3 analogue outputs, i.e. one 0-10 Vdc output for each parameter CO2+rH+T. 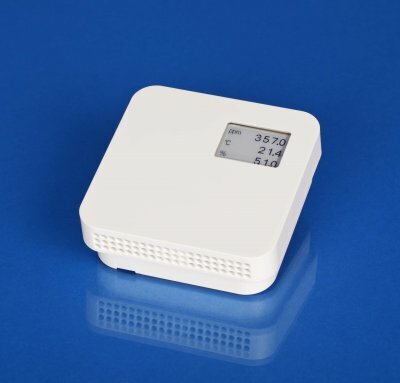 The RCD 010 THD combined Carbon Dioxide (CO2) + Humidity (rH) + Temperature (T) transmitter to be used in air conditioning, ventilation and clean room technology, interior rooms such as residential rooms, offices, hotels, technical rooms, meeting rooms and convention centres. • See all the different types in data sheet. Feel free to contact us if you're intressted in the product or have any questions. Or write us an e-mail in the contact form below straight away. © 2011-2019 Ventilationcontrolproducts.net. All Rights Reserved.